DAVAO City — Dubbed as one of the prestigious regional level athletic competitions in Davao, the 2019 Davao Region Athletic Association (Davraa) Meet formally opened last Sunday at the newly constructed P180-million UP Sports Complex in this city. An estimated 4,985 athletes from provinces and cities in the region will compete in 21 regular games, four special games, and three demonstrations during the week-long sports competition. The athletes, together with the 976 coaches and their 126 chaperones are from various elementary and secondary schools in the region, both in public and private institutions. 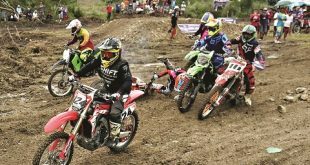 This is the second time that Davao City is hosting the regular Davraa competition, a move which Mayor Sara Duterte-Carpio said is a vital step while the city is gearing towards the hosting of the Palarong Pambansa this year. 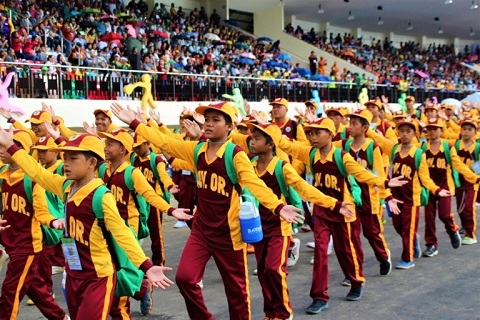 Davao City first hosted the Palarong Pambansa way back in 1950 when it was only known as the Bureau of Public Schools Interscholastic Athletics Association Games. It was Department of Education Secretary Leonor Briones who announced the confirmation after Davao City beat other three bidders, namely Zamboanga Province, Misamis Occidental, and General Santos City. Davao City will host more than 15,000 young Filipino athletes from 17 provinces in the country that are expected to compete at this year’s game. Duterte-Carpio graced last Sunday’s opening ceremony, together with boxing champ Jerwin Ancajas. In her speech, the mayor reminded the athletes of three important matters; to study hard to finish education, to listen, follow their teachers, and to also listen to the parents “as they know by experience what’s wrong and right”. “The pressures for you win maybe high but keep in mind that the greatest hurdle and achievement of you sports dream is not your fellow athletes or pressure from outside forces but the limitations you set for yourself in your minds. 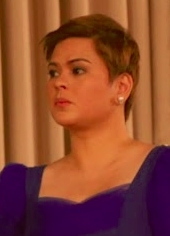 So just keep your focus and give it your all” Mayor Sara emphasized. Ancajas who was the Guest of Honor of the opening ceremony told the athletes to “trust God and endure discipline” to become successful. “Poverty is not a hindrance to become successful. 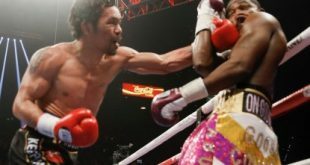 Just trust God and endure all the difficulties, for one day all your effort will be paid off,” said Ancajas.